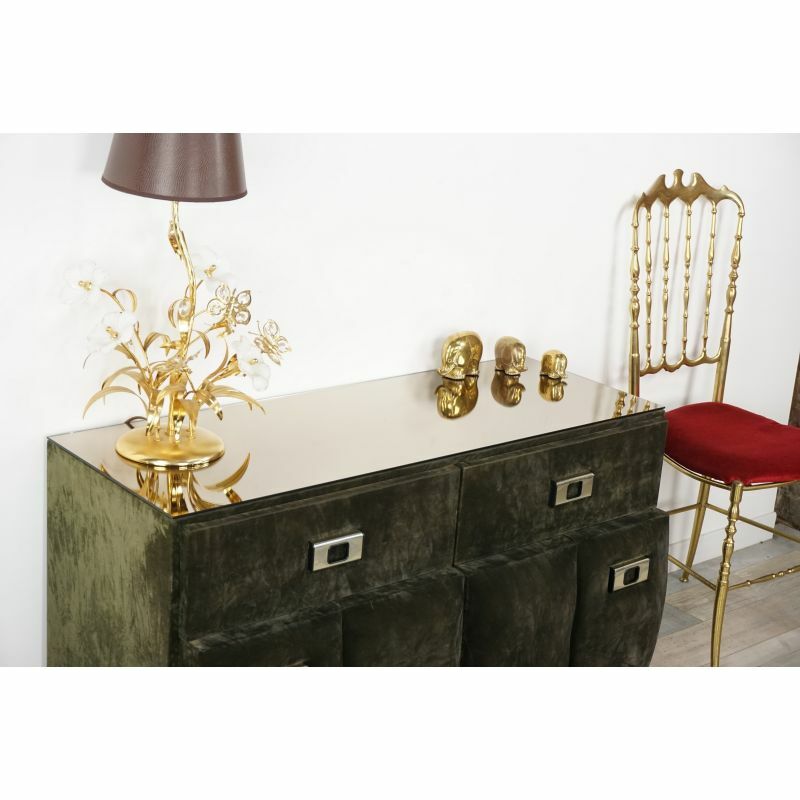 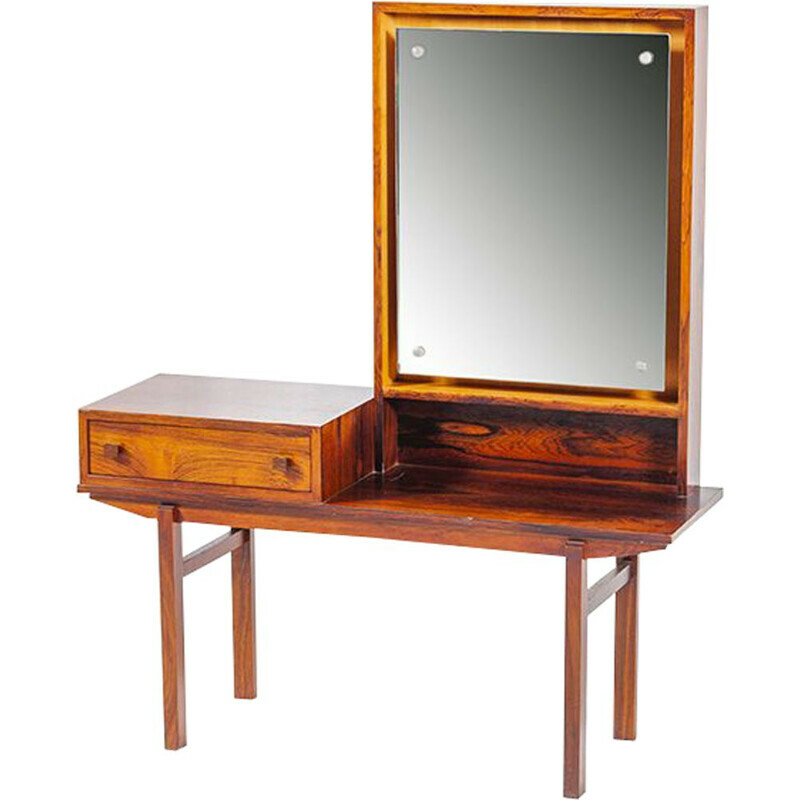 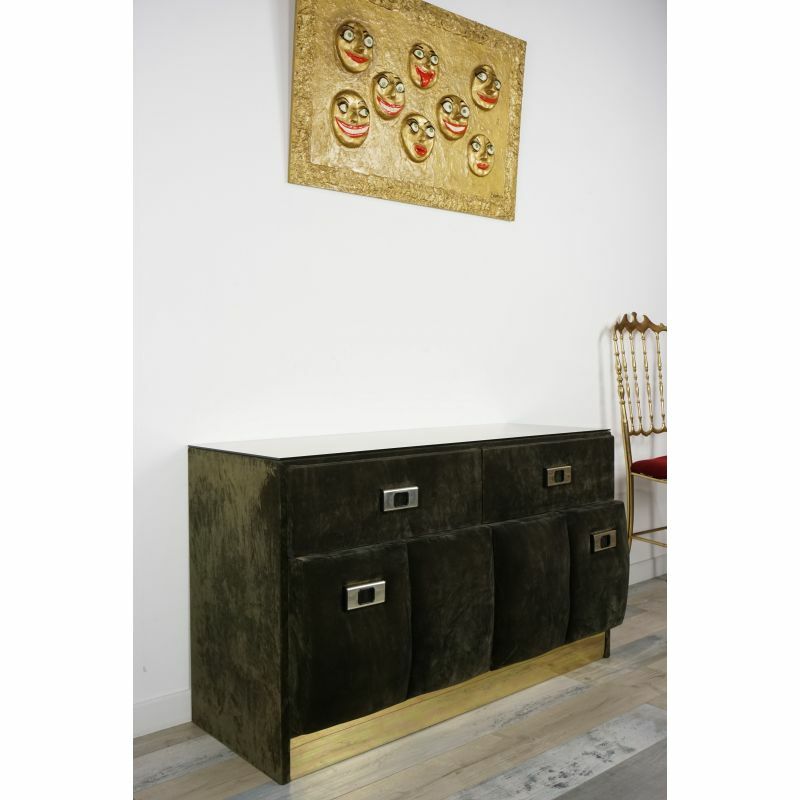 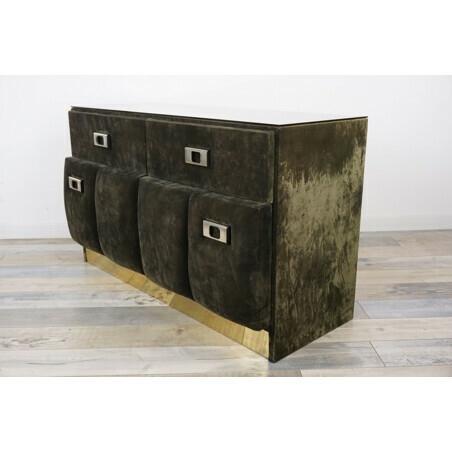 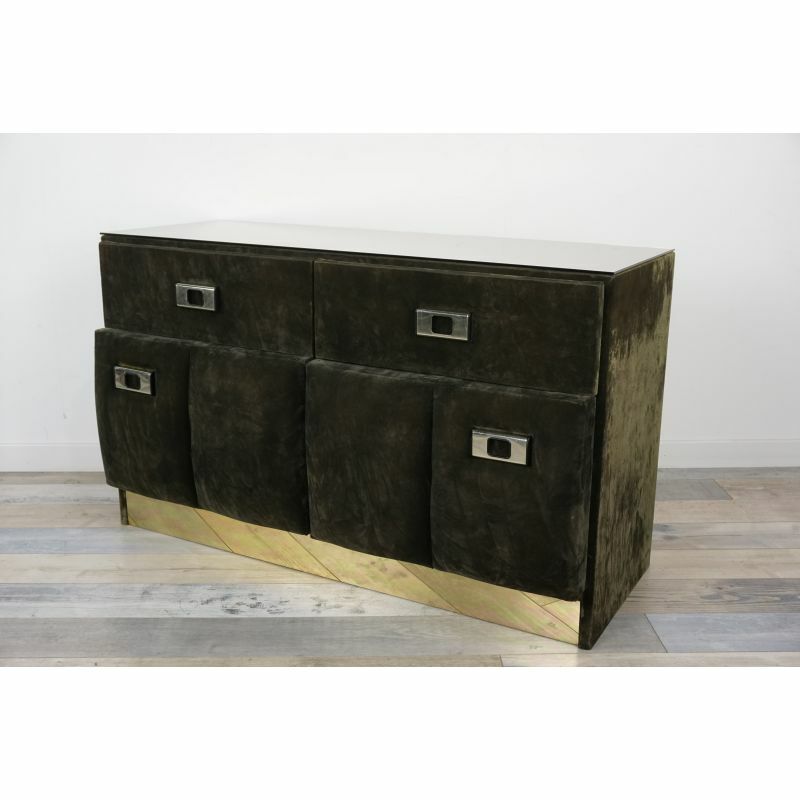 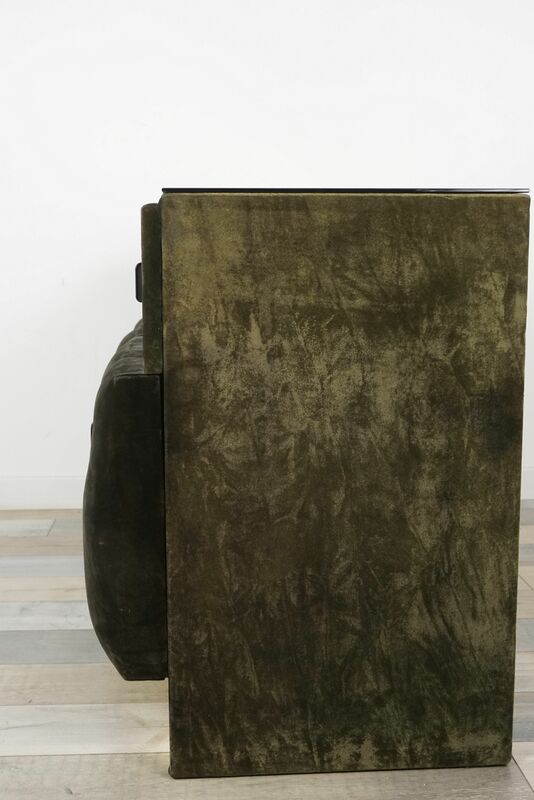 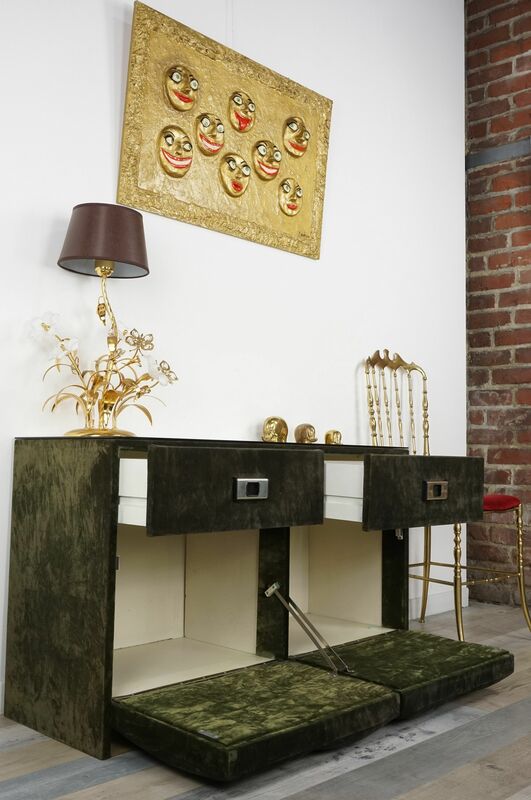 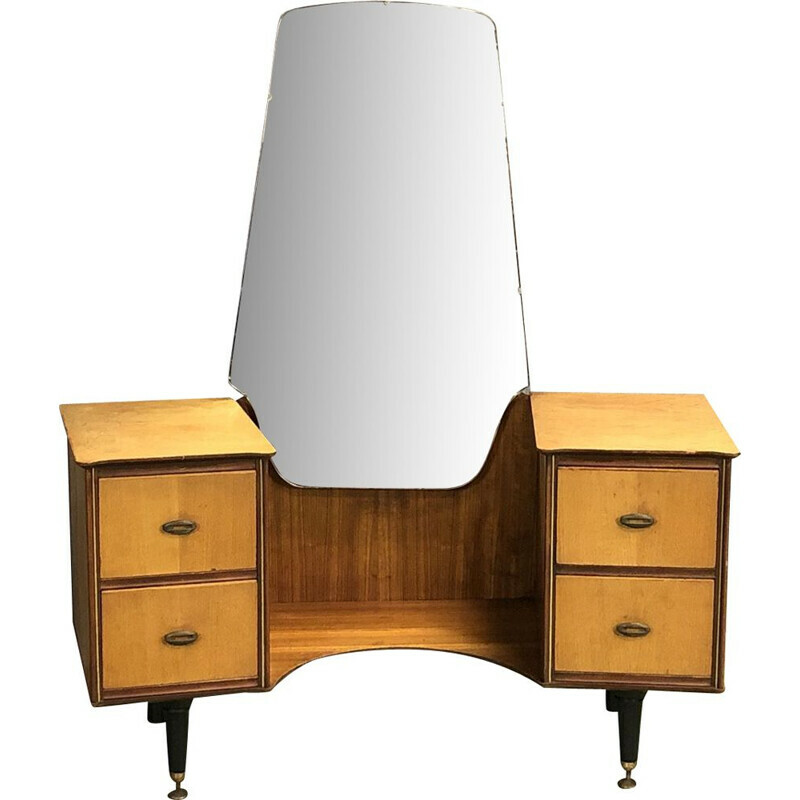 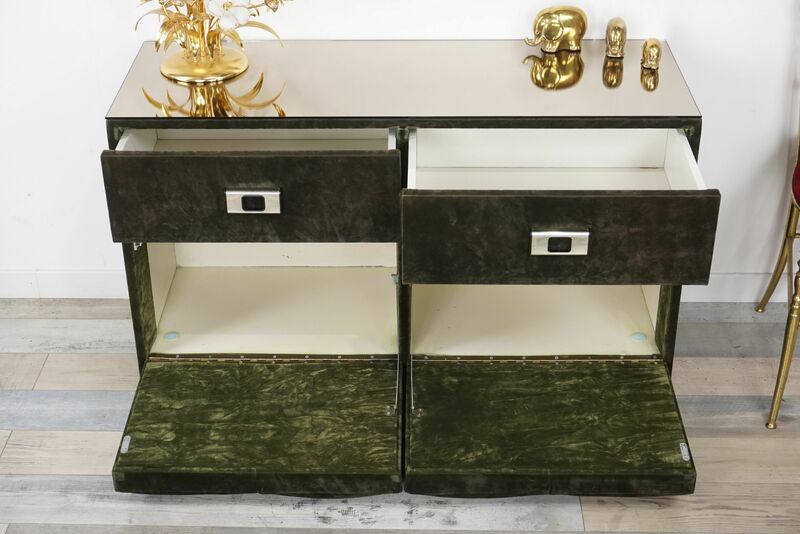 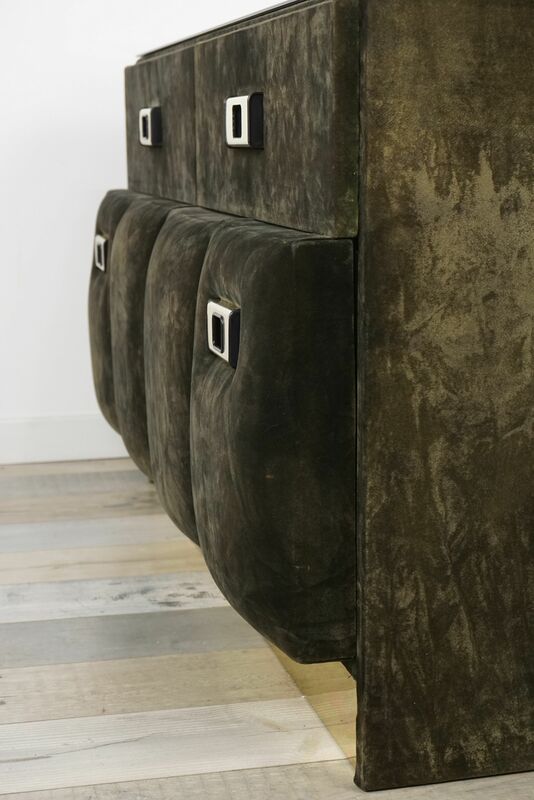 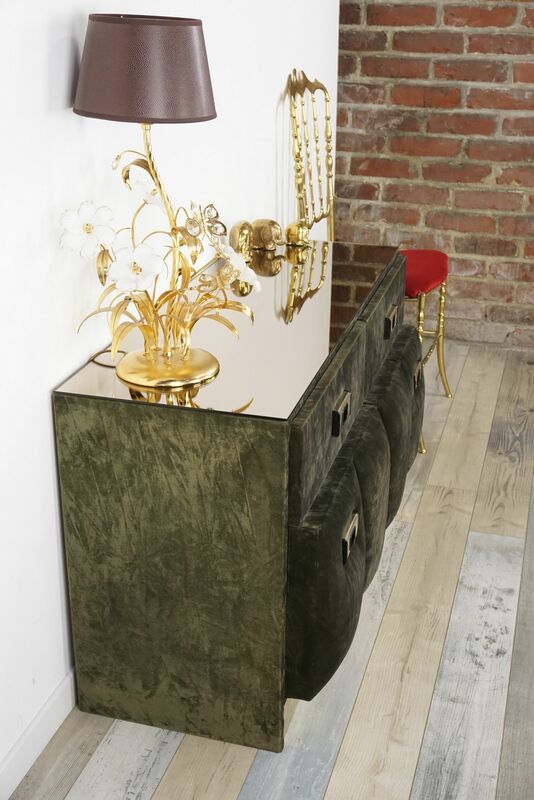 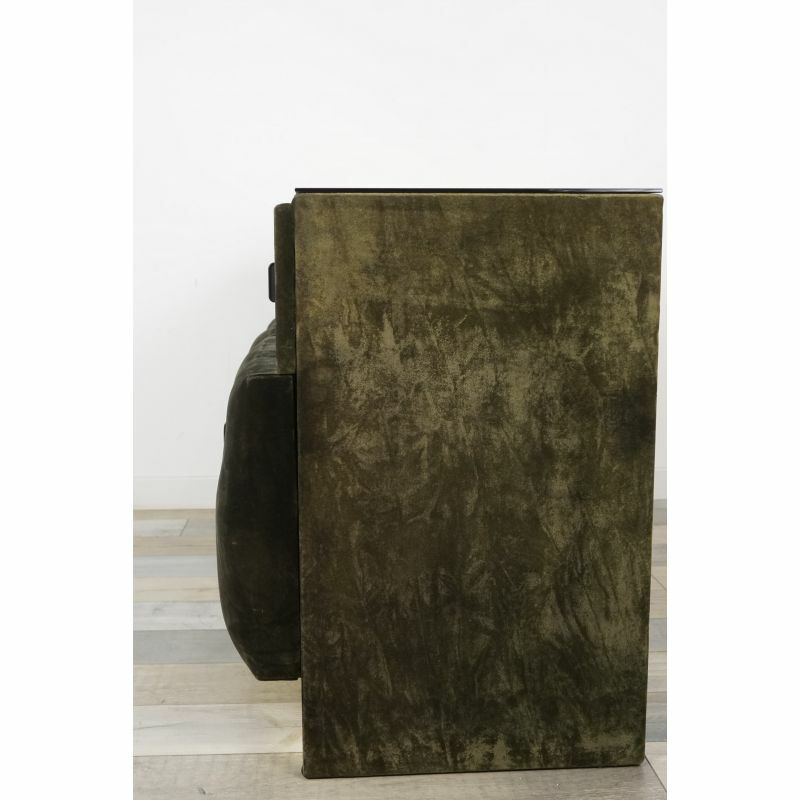 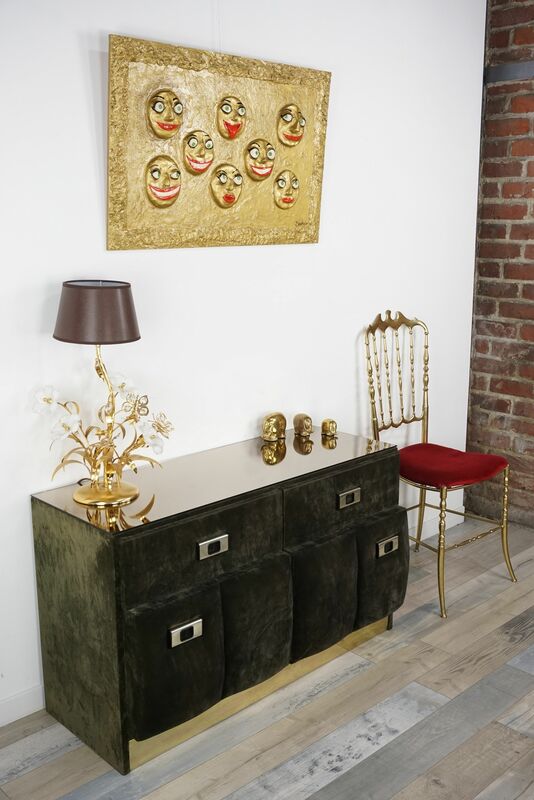 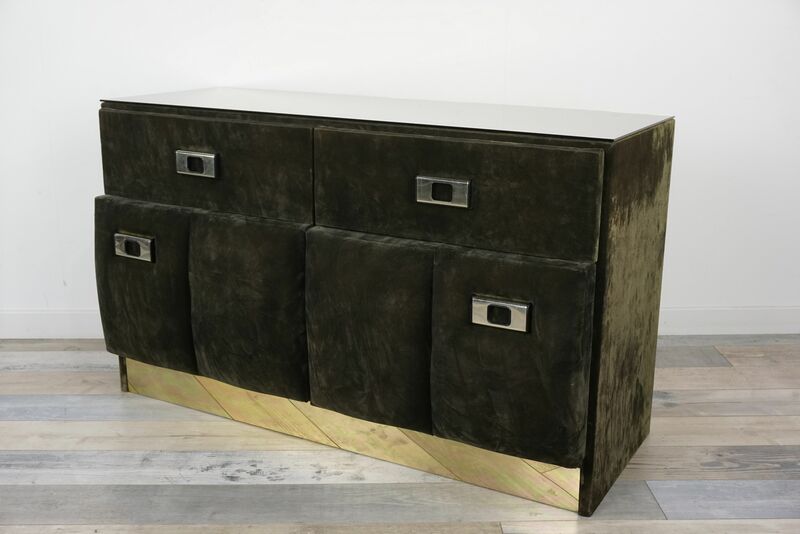 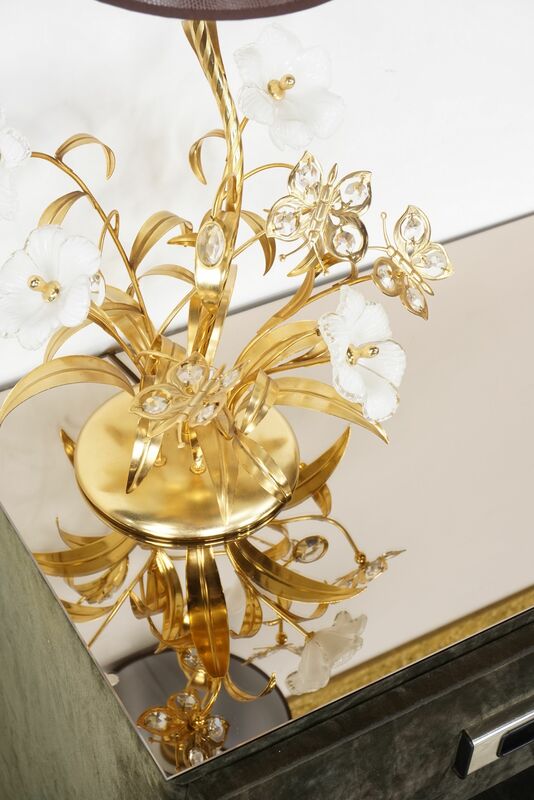 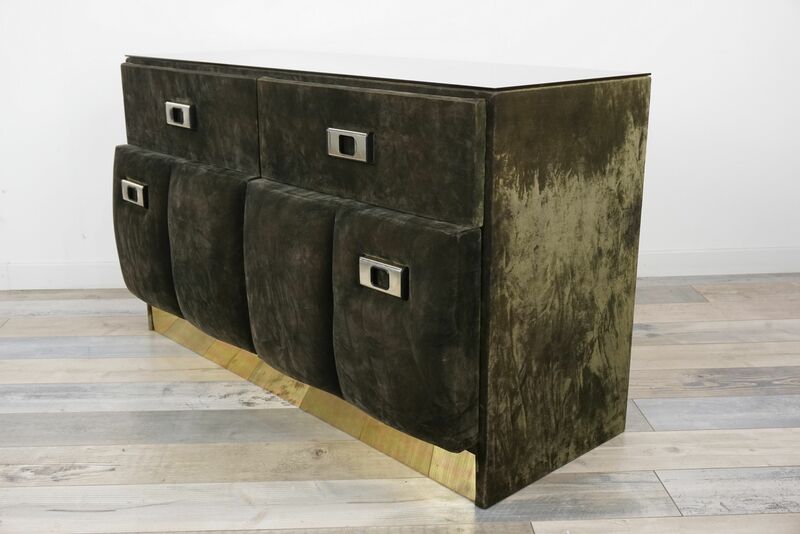 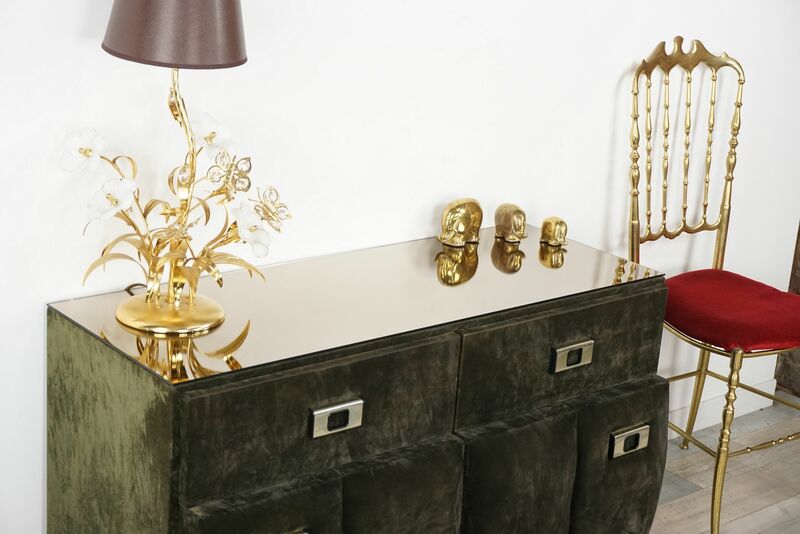 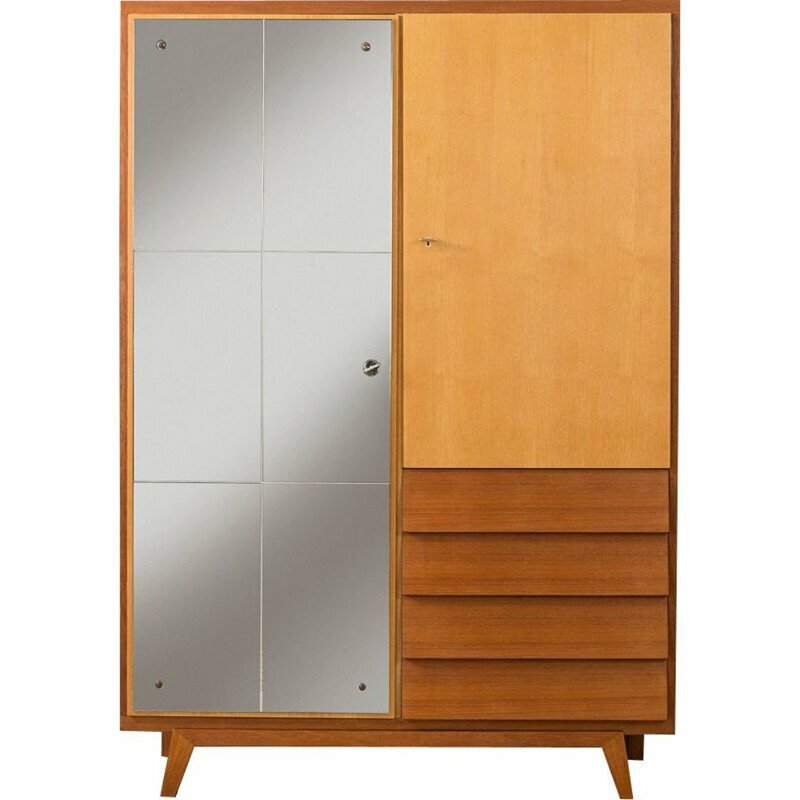 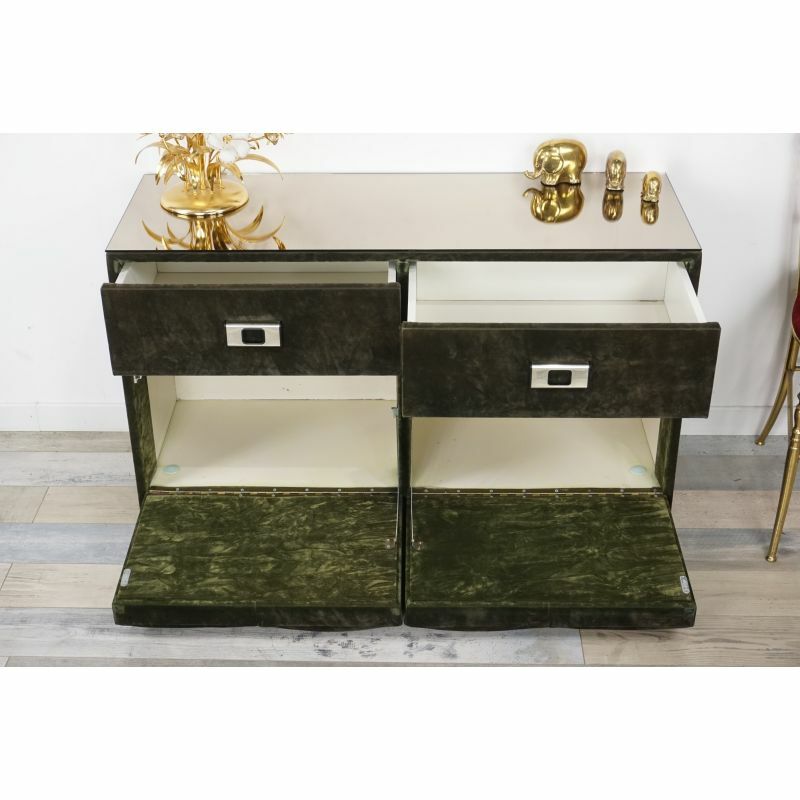 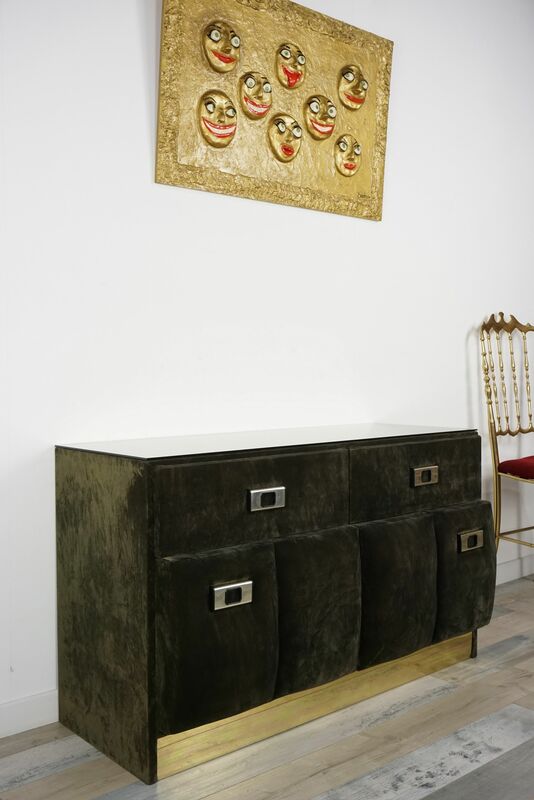 This chest in Green Velvet, the Italian design from the 1960s, is decorated with a glass bronze tinted mirror effect and finish brass front for the base. 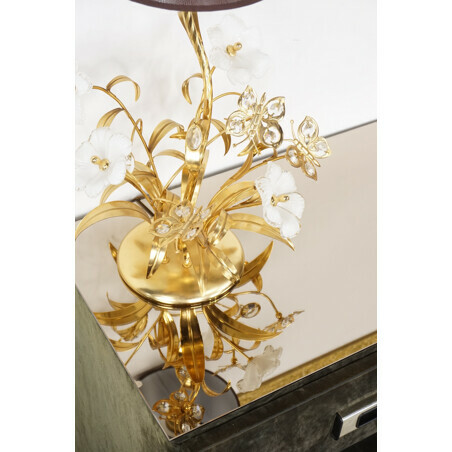 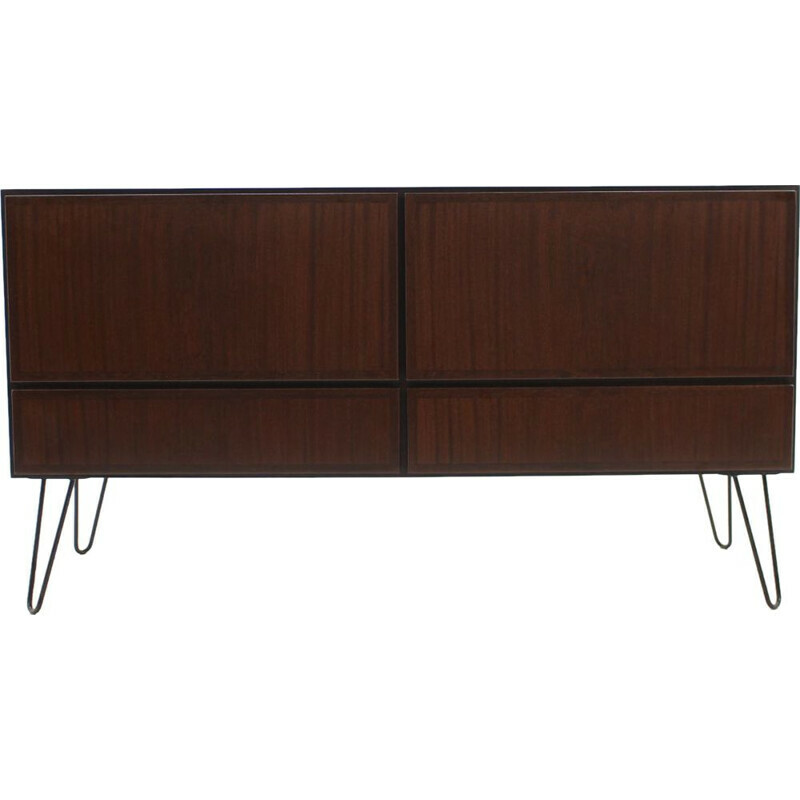 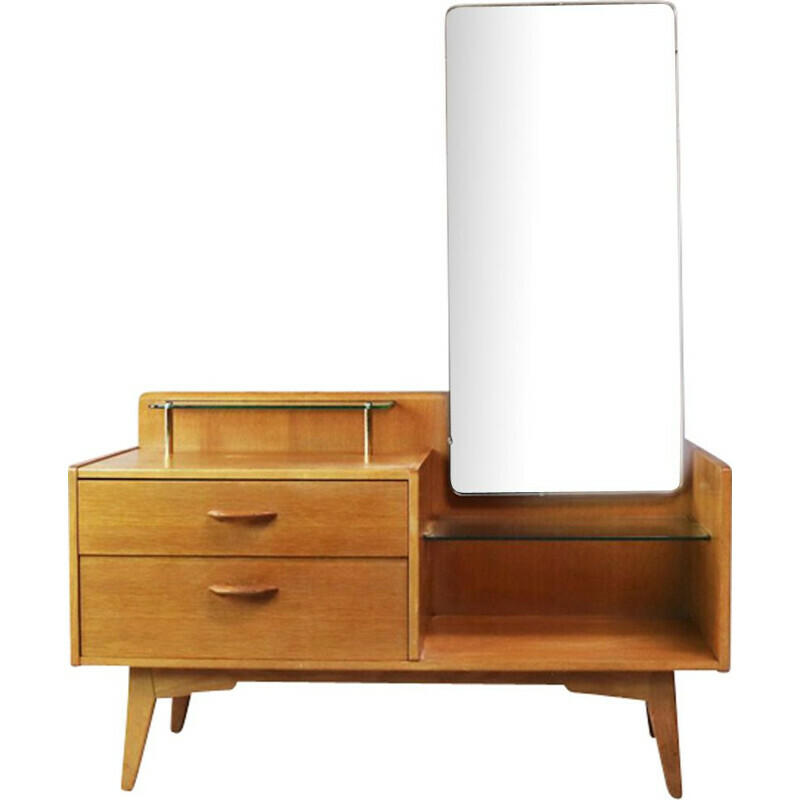 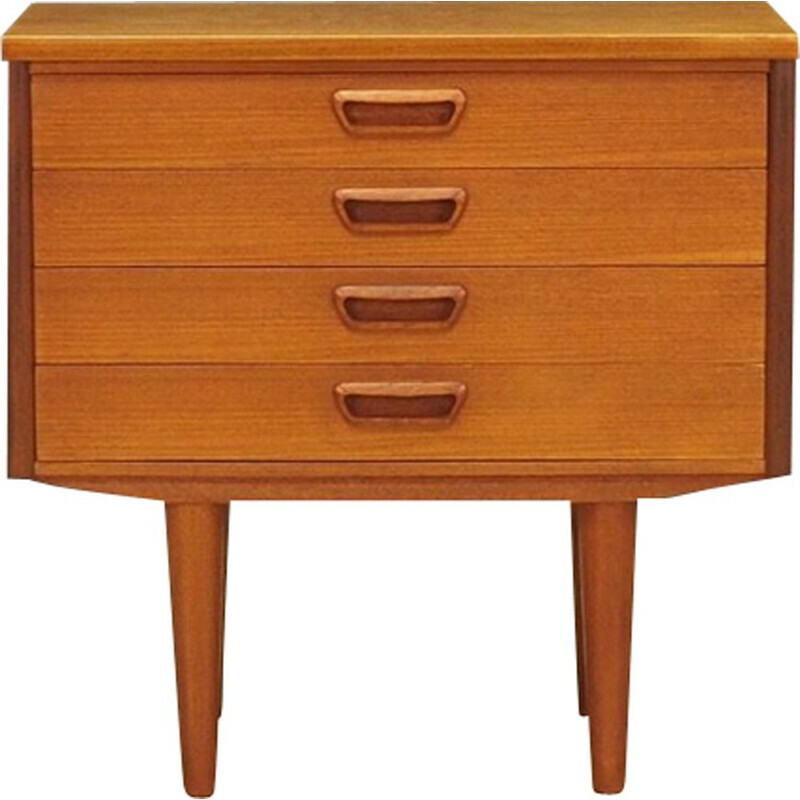 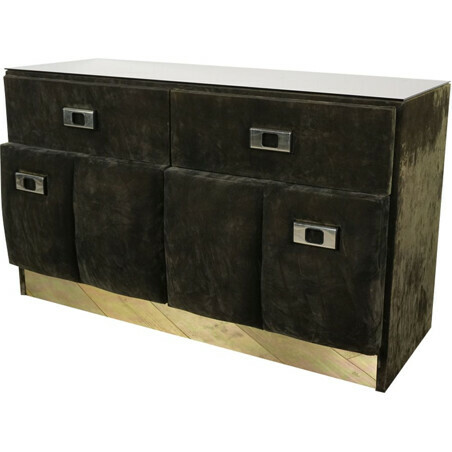 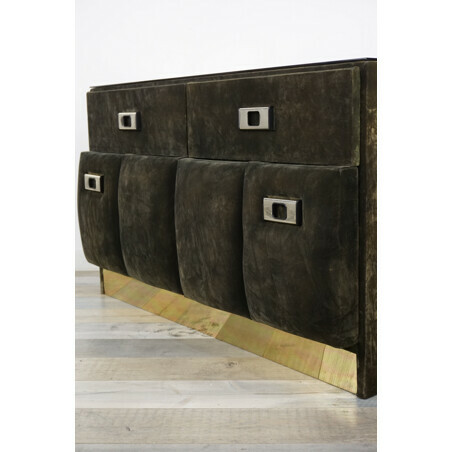 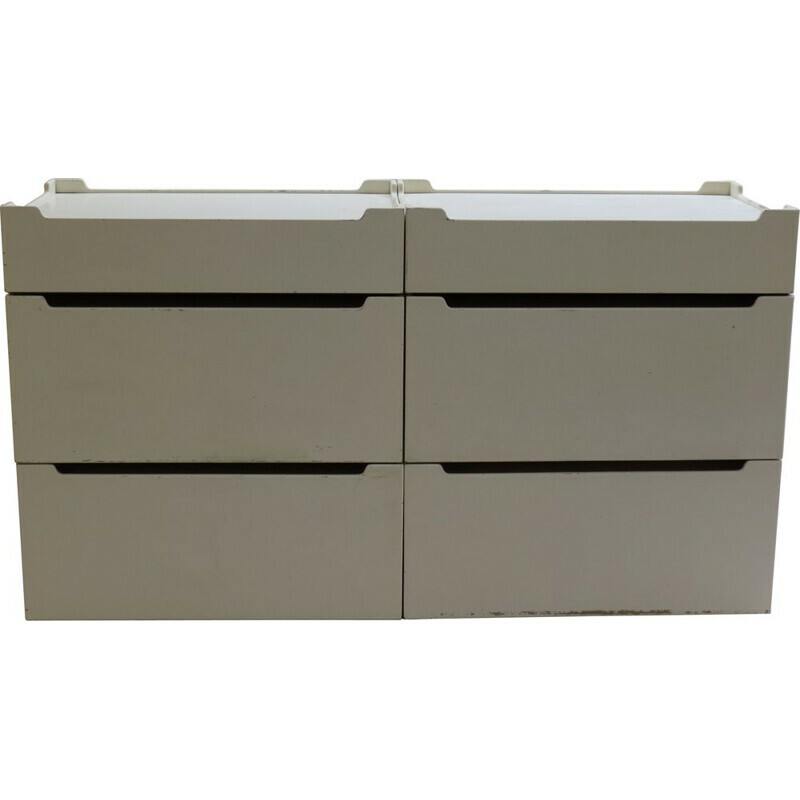 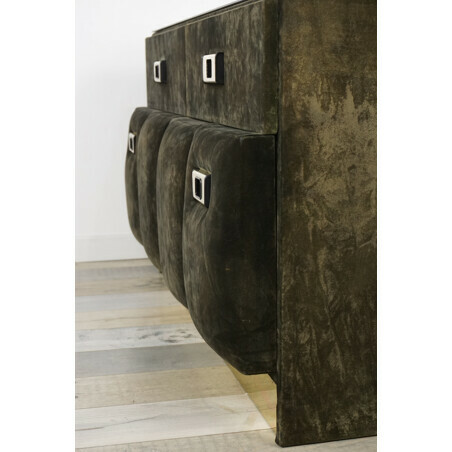 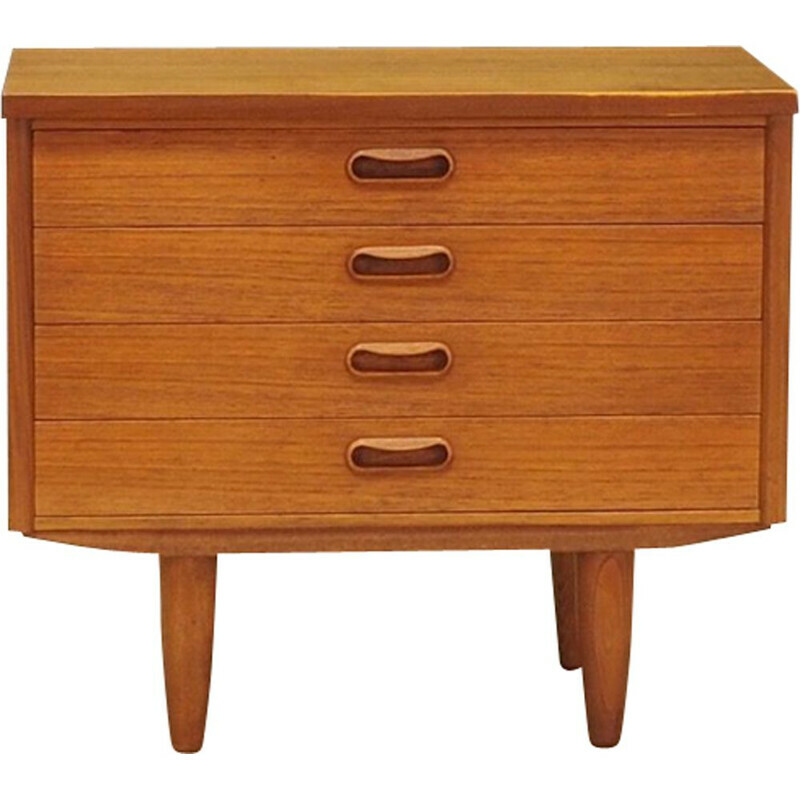 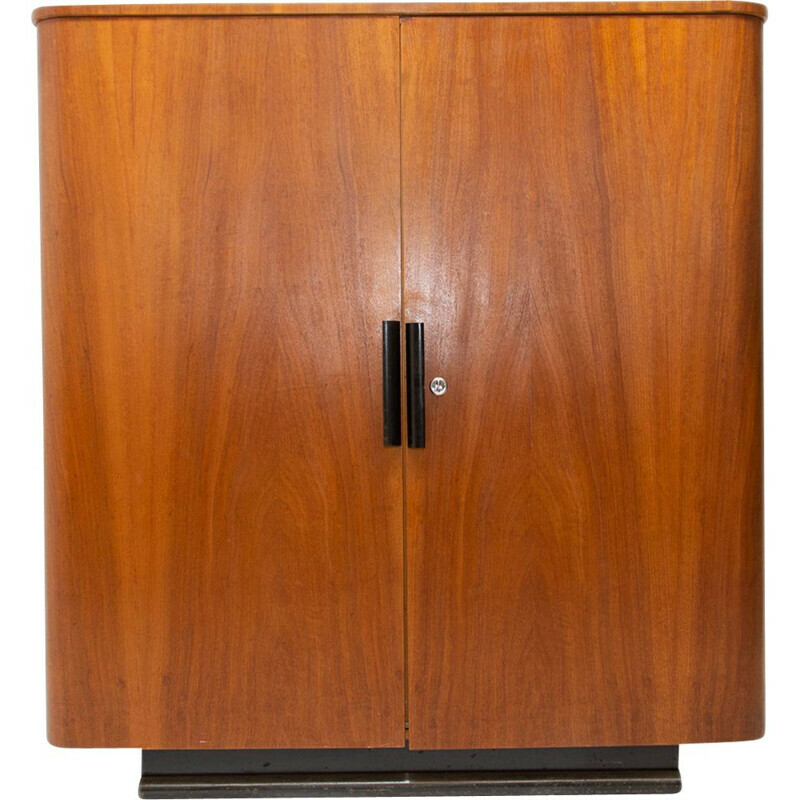 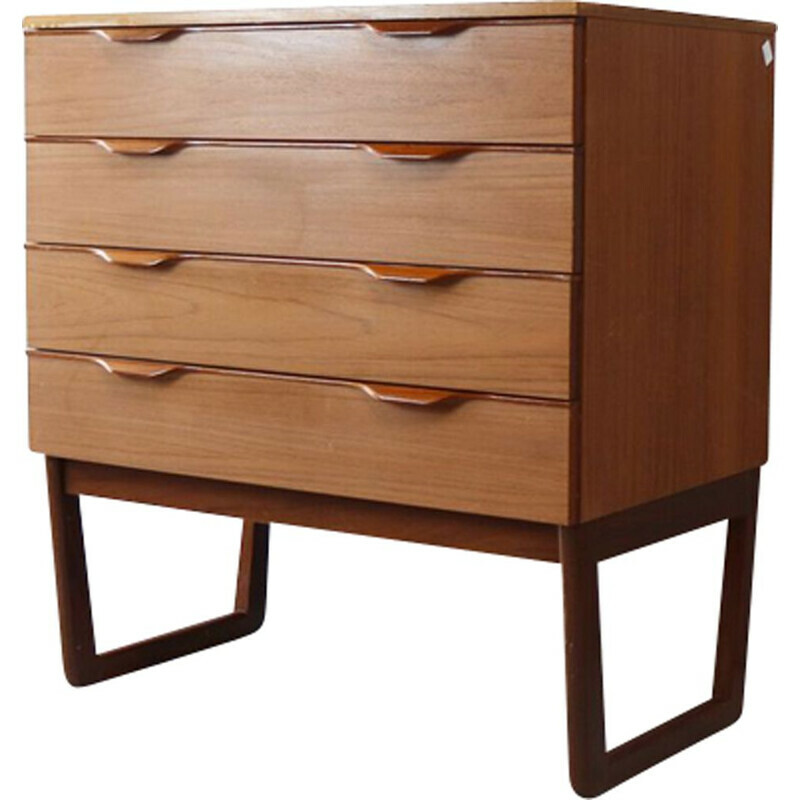 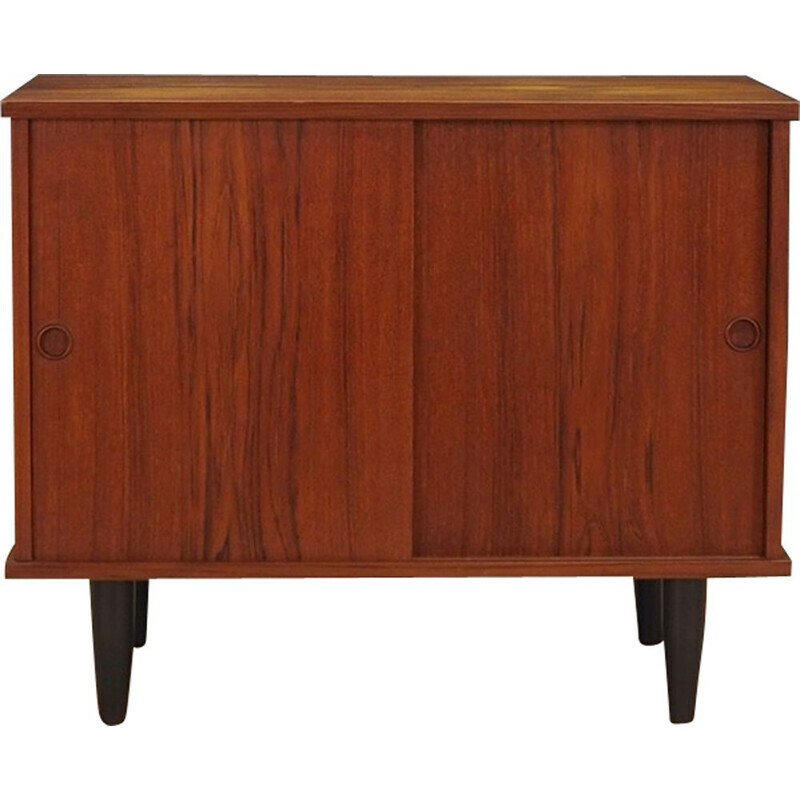 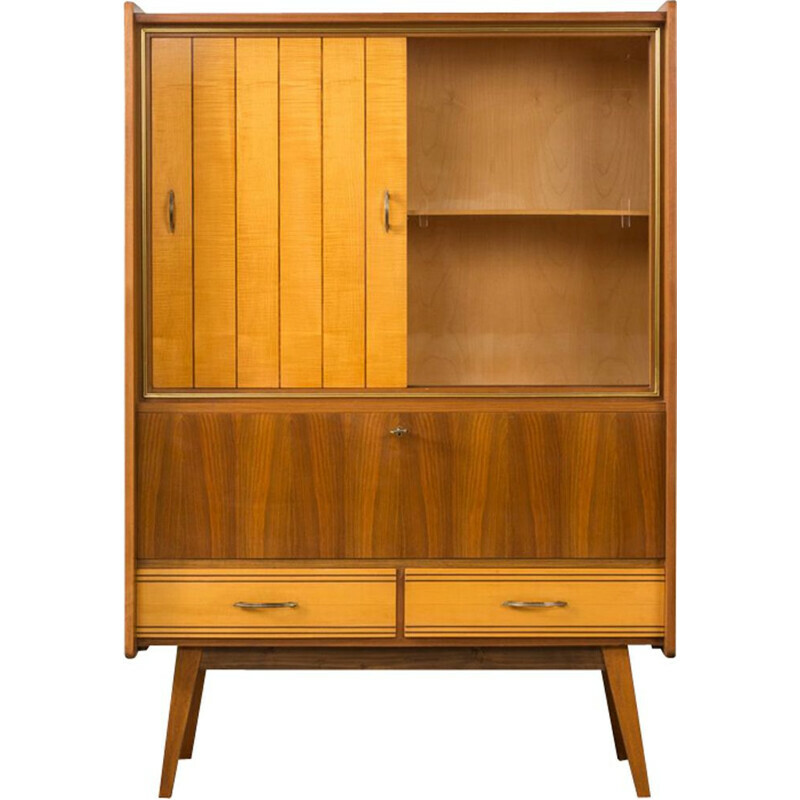 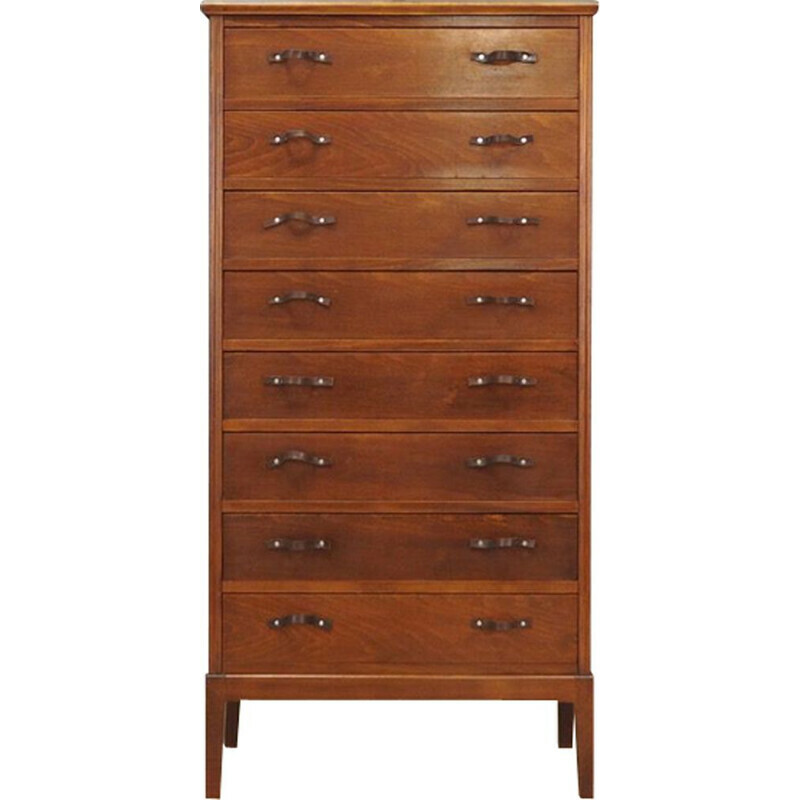 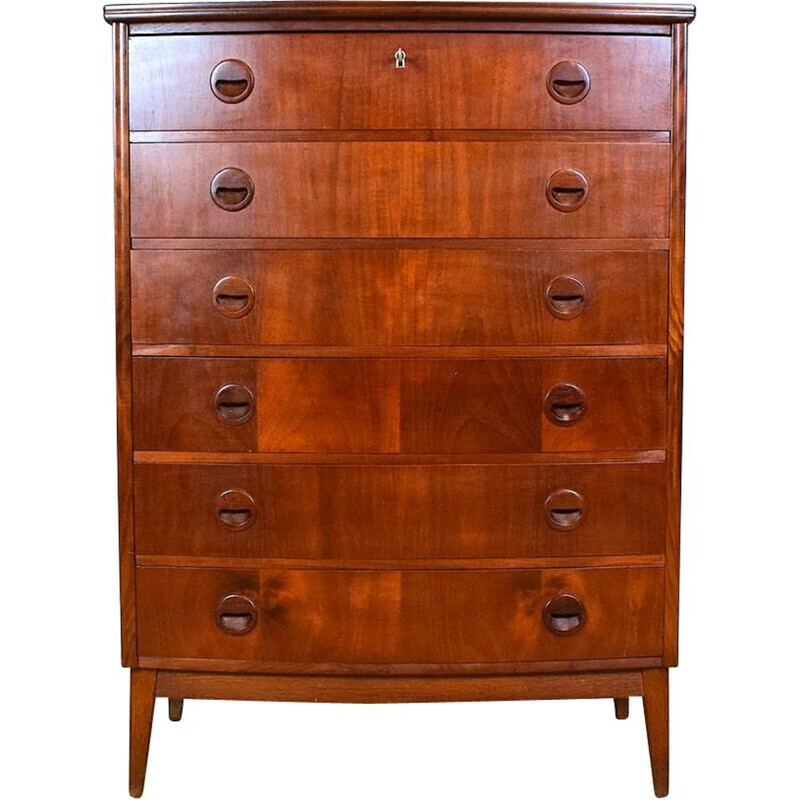 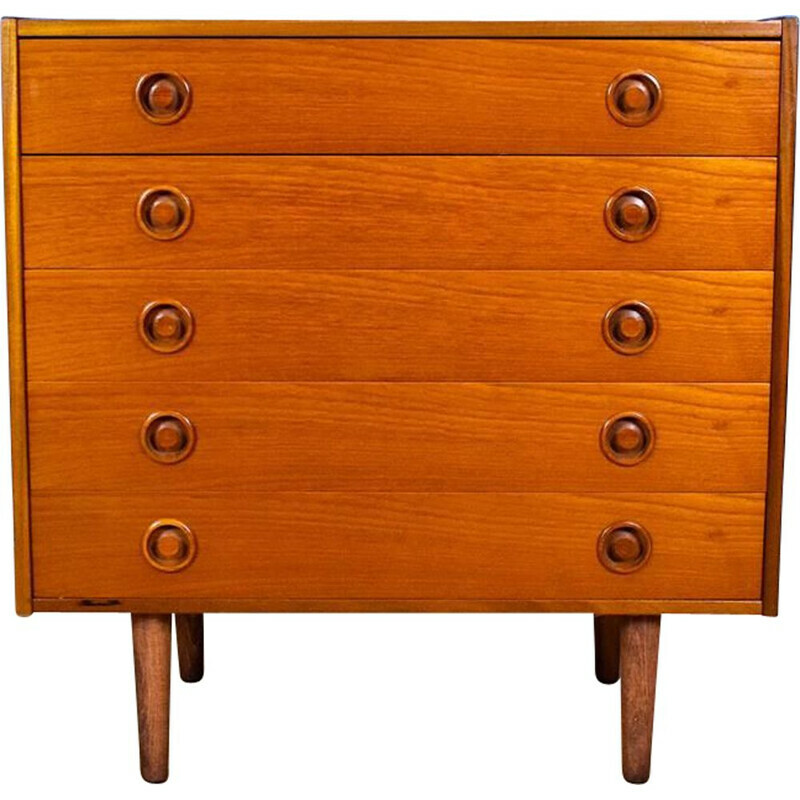 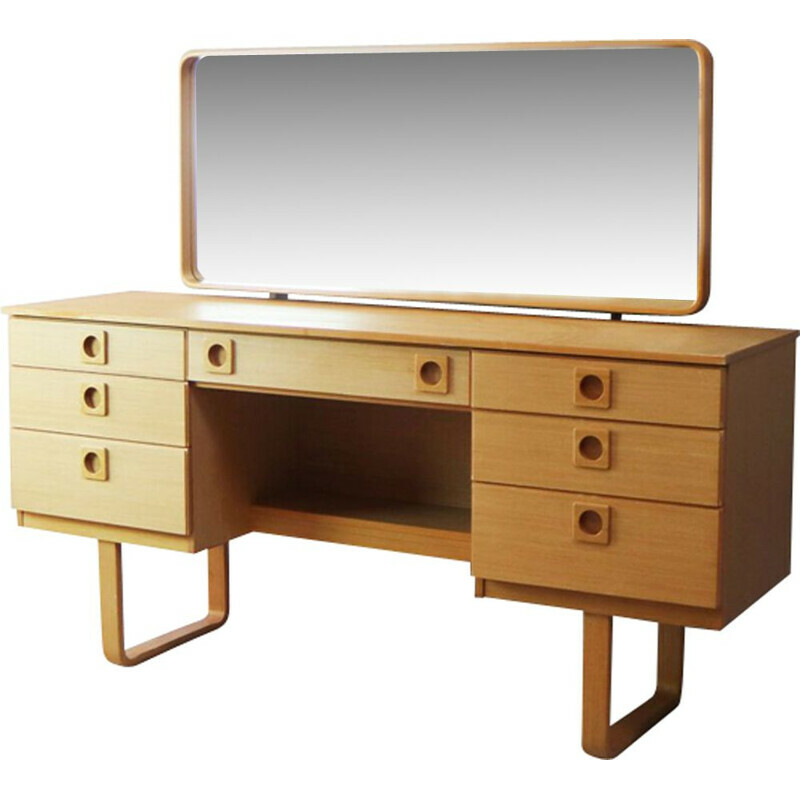 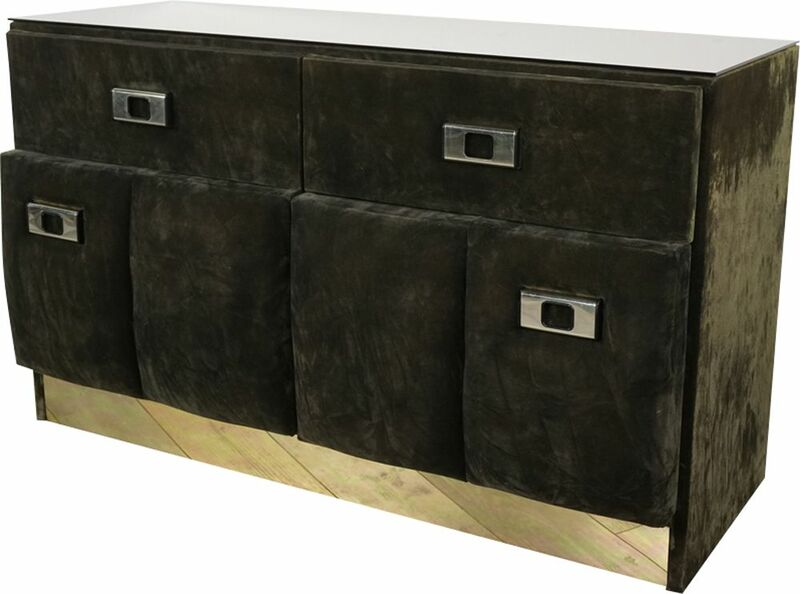 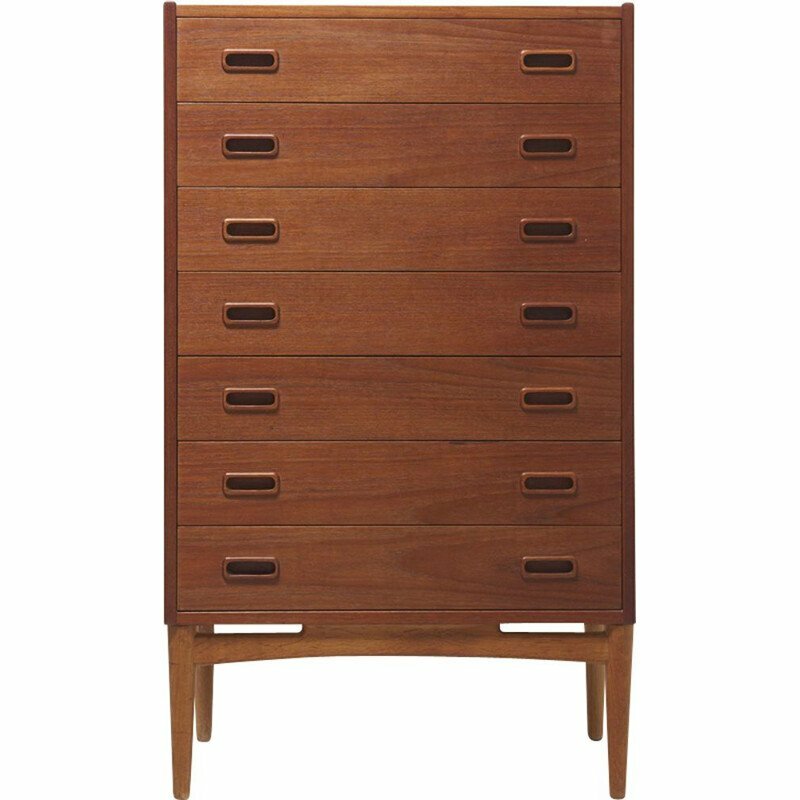 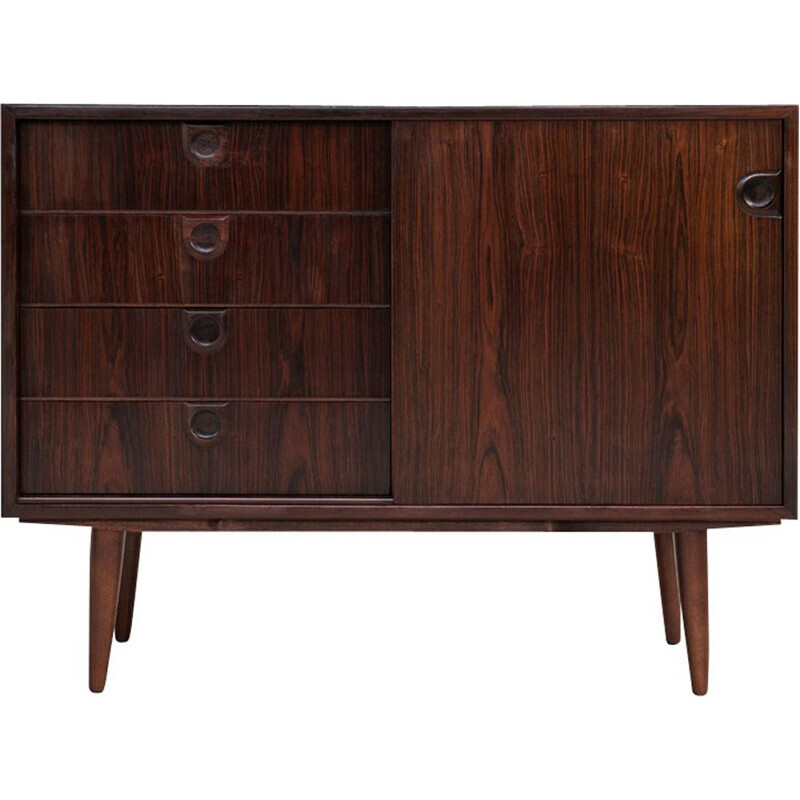 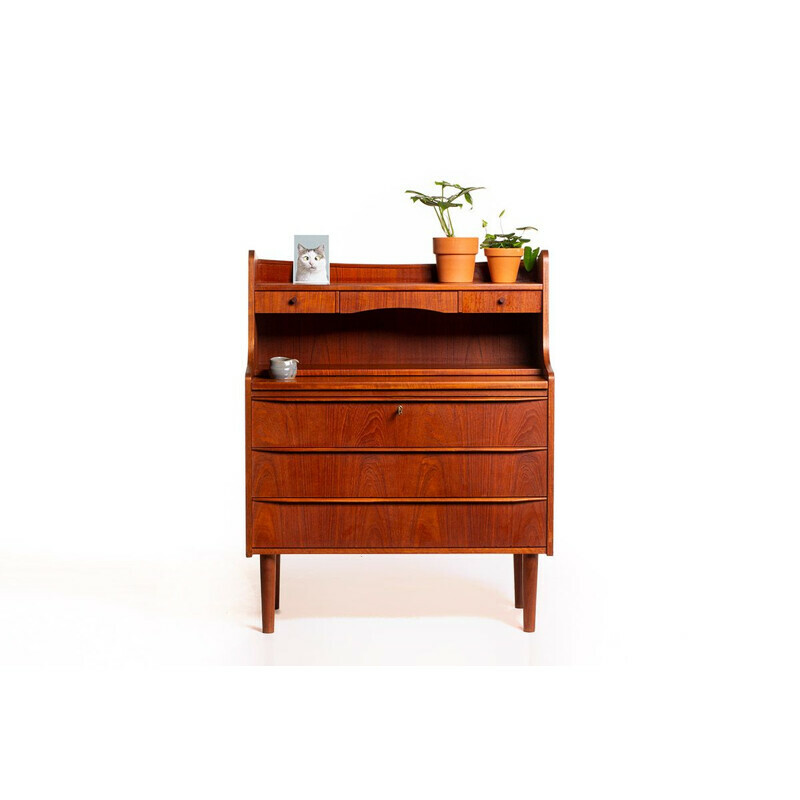 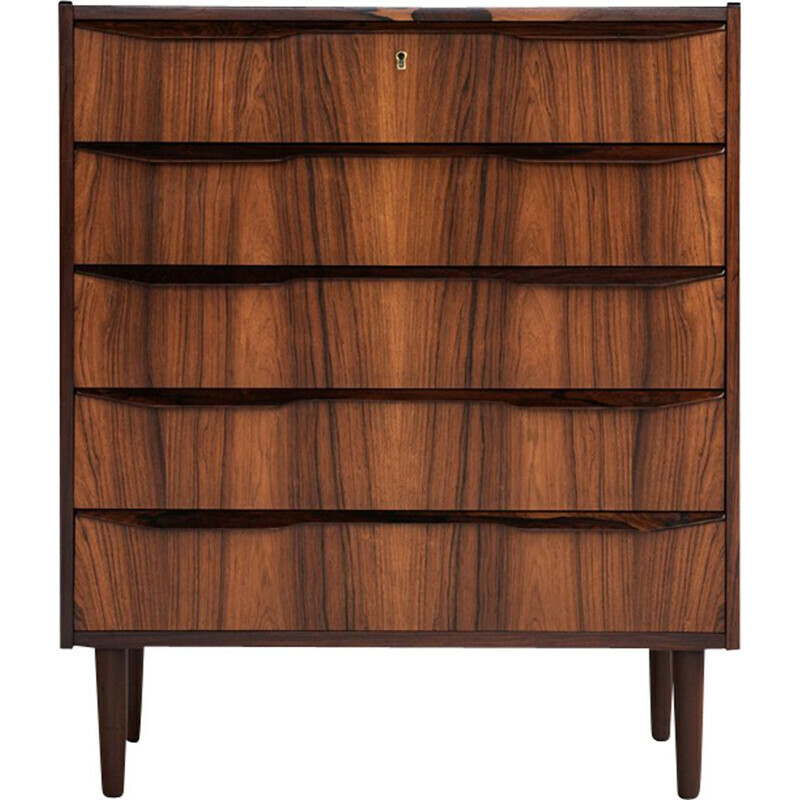 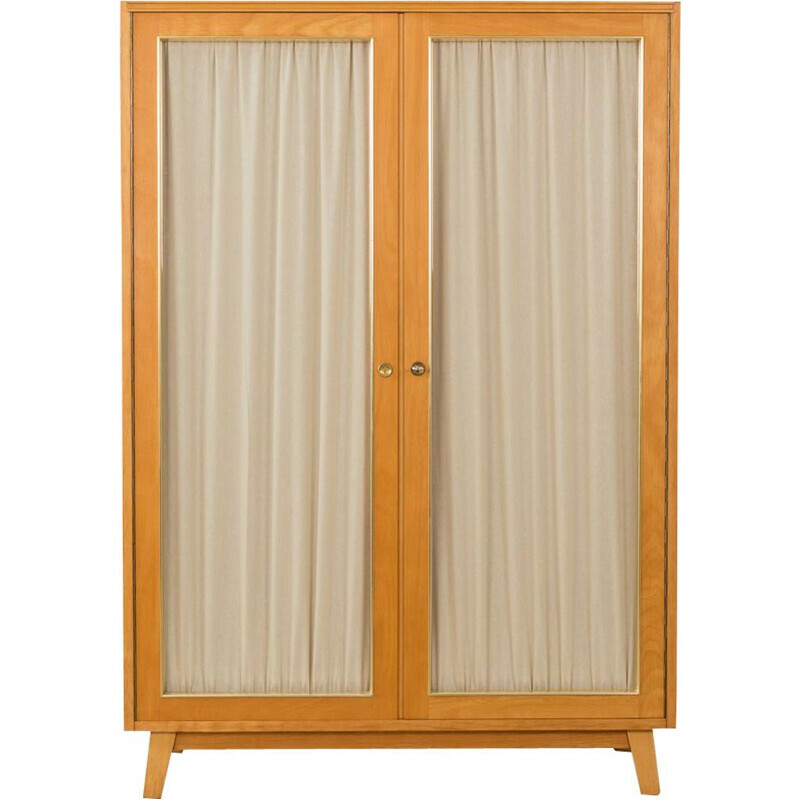 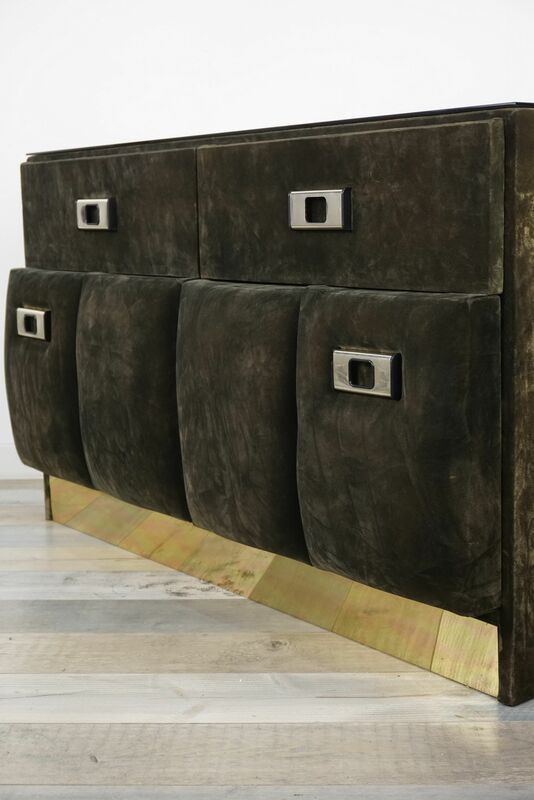 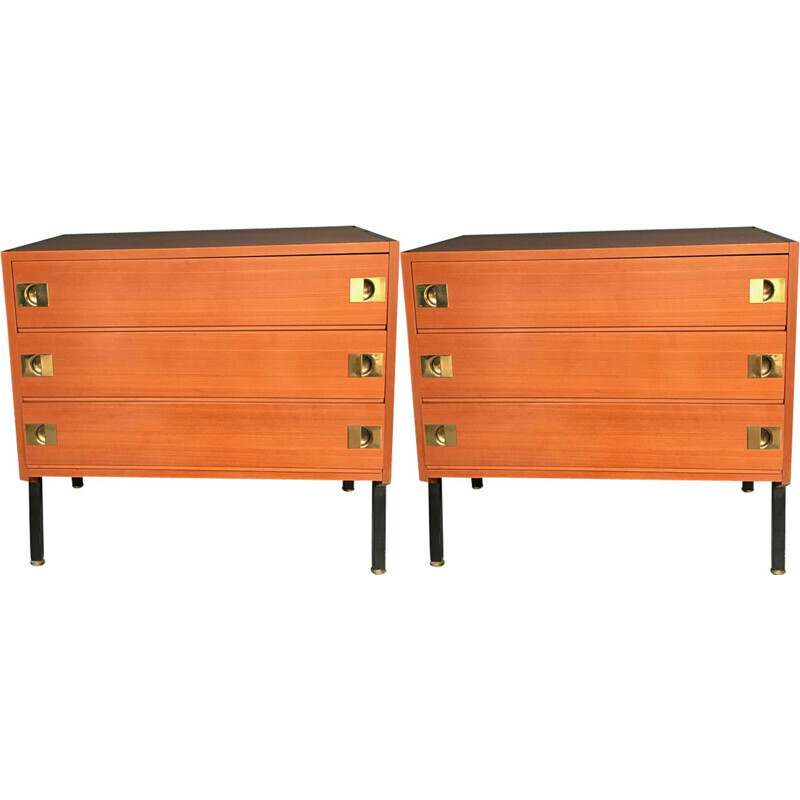 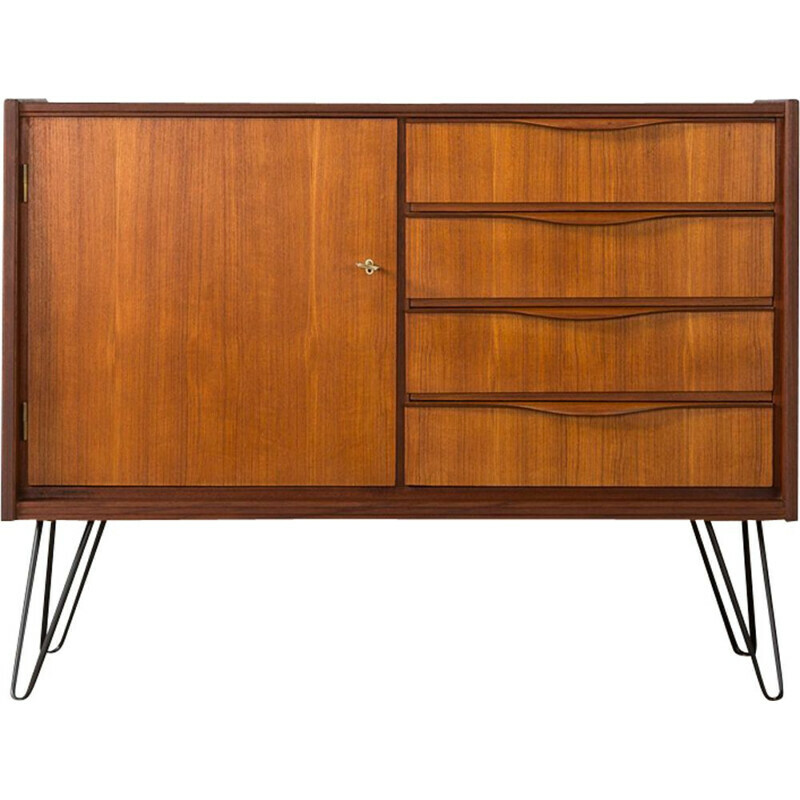 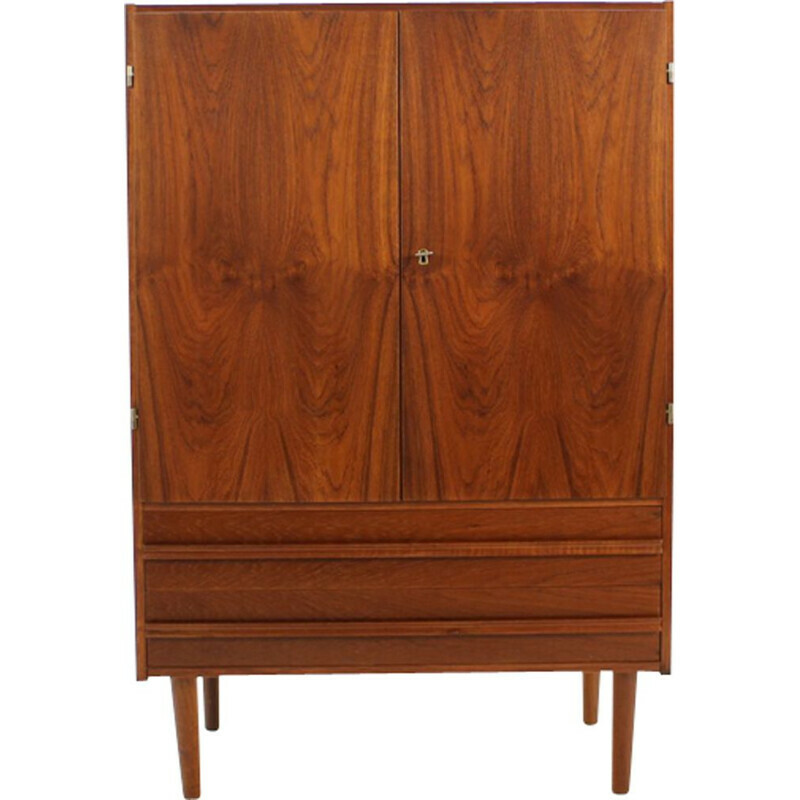 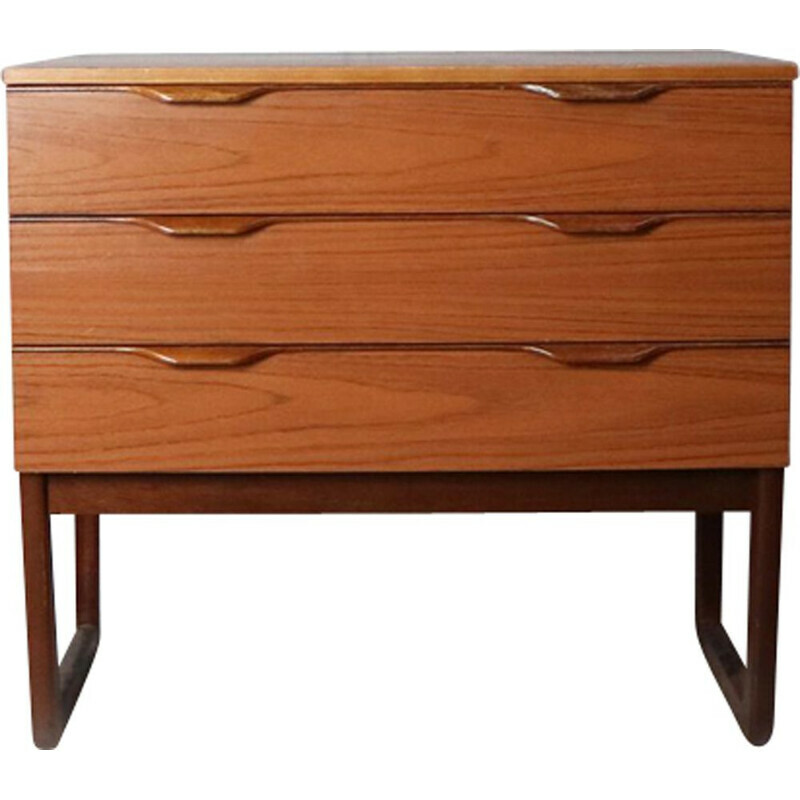 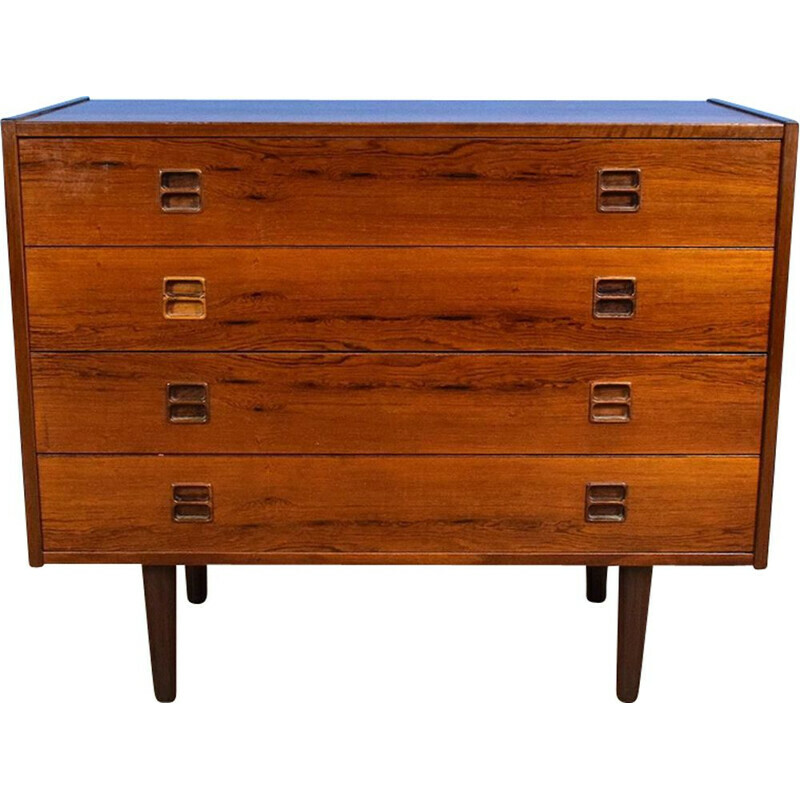 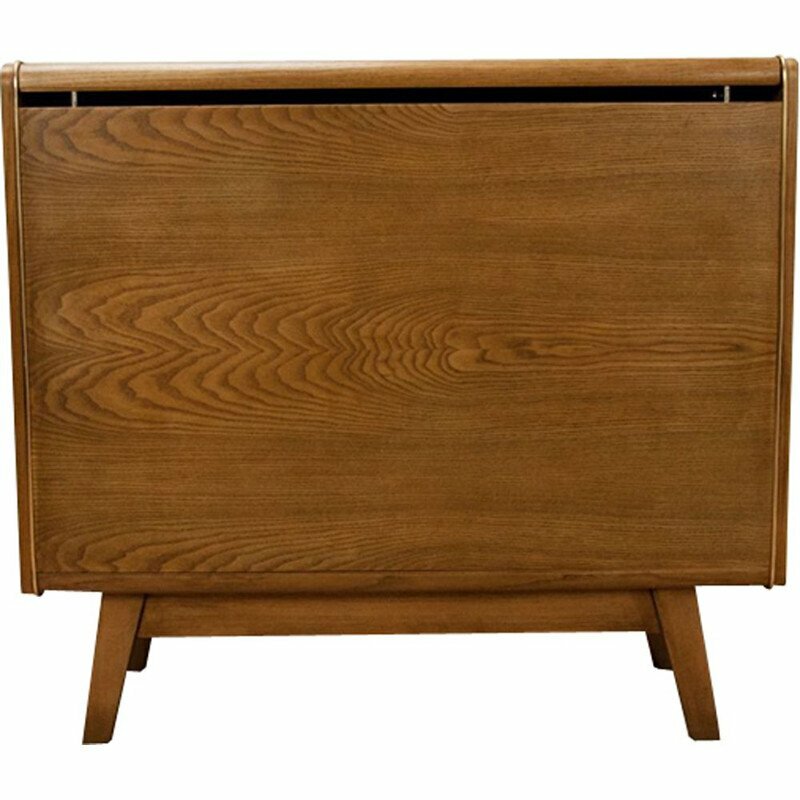 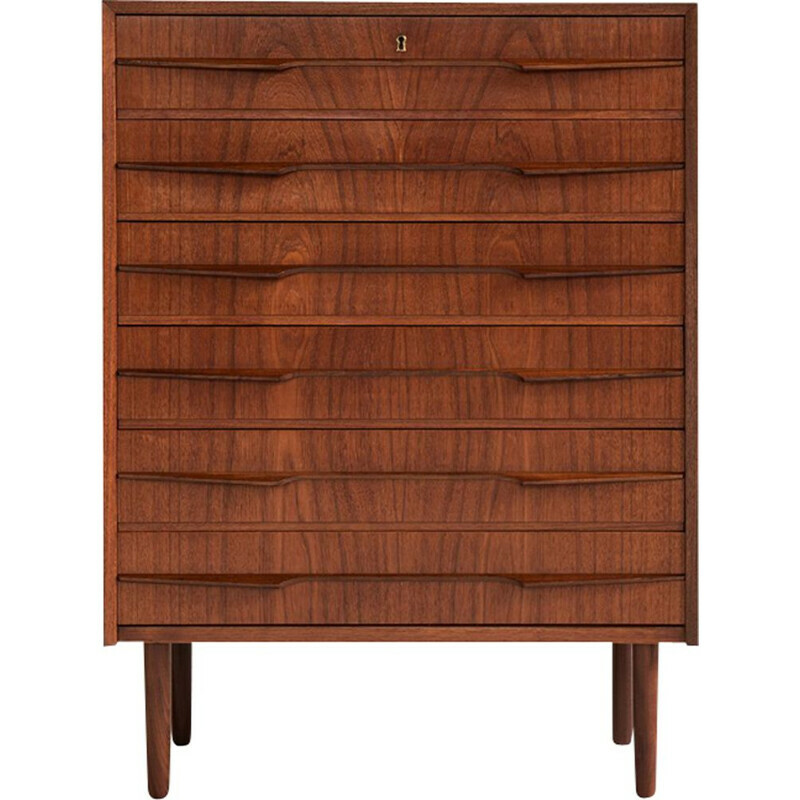 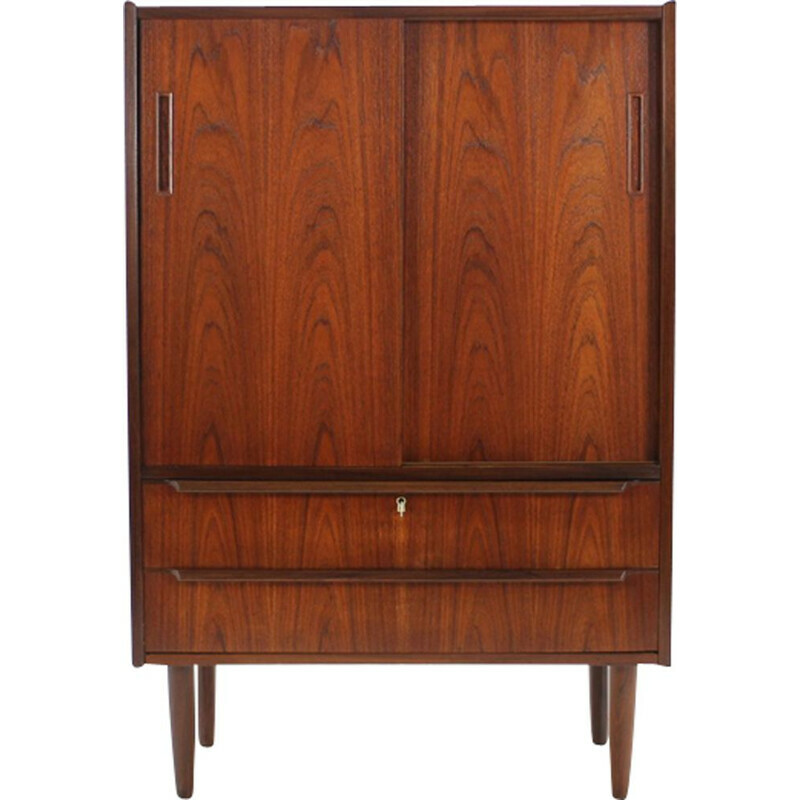 It is composed of ornate handles, 2 storage to open spaces by flap and 2 drawers belt. 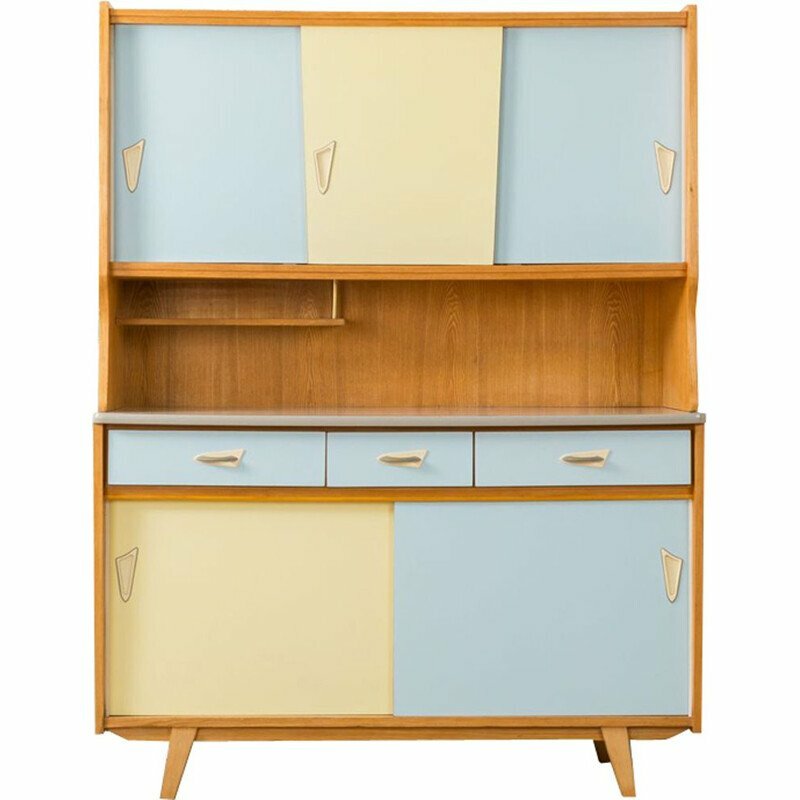 Adorable, the retro look trend.